… You’re not wearing any pants. Visualize, now, how your date must react and feel? Maybe awkwardly. Definitely let down! Now, imagine, how a reader must feel, when they buy your (unedited) book. You used a clever synopsis to lure them as a pick up line. Even paid to get a decent cover designed (if not, you should!). Your Kindle price is an attractive $5.99 and the POD is $13.99. Charmed by your prices and allure, your reader goes out on a limb and says yes to your book. But when they start reading, what do they get? Badly edited content – like you without pants on your first date. That is very disappointing for the reader. And you know what? That reader will not easily say yes to your books again. This may be a long analogy to reach a simple point. And that point is this: if you want to be taken seriously, now, as an independent author, the time of getting away with not editing is long over! Ebooks have been available for years now, and indie publishing is a thriving industry. Readers have begun to trust indie books! Many indie authors are selling books for more than the traditional $0.99. In fact, personally, I like to buy an indie book that is over $7.99 because that says to me: the author invested in an editor and cover designer, and maybe a formatter too. That means I get a quality novel – on par with a traditionally published book – for my $7.99 or more. When a reader buys your book, they are not just investing their money. They are also devoting their time on YOU because they have a need for escape and entertainment. They are trusting the book they purchased from you to fill that need. Now, if your book is badly edited, you are not fulfilling anyone’s needs. It only creates disappointment and annoyance. All that said – yes – editing can be expensive. However, there is an editor for every author out there. You just have to find the right one that matches your budget and requirement. And as I have repeated many times over – an author simply cannot avoid getting a decent cover designer and editor anymore. Books ARE often bought based on cover design, and reviews ARE written about editing and bad grammar. Retain consistency while writing. Avoid losing track of minor plot details, character details and even time lines. Readers do notice small detail or plot mistakes. The correct use of the period and comma use is a very common mistake in dialogue writing. Also, keep your grammar simple as most authors are not grammar experts, but neither are most readers. However, readers notice and do mention it on reviews! This is so important. Polish your book. Add formatted titles, subtitles, text font and an index (for eBooks). This is the ‘dressing up’ part of editing and presenting your book, and readers do appreciate it. These are the simplest of basics that indies get wrong. A story must have a: Beginning. Middle. End. Have the end goal posts in mind when you start the book and be sure to flesh out the middle without giving away the end too soon. Choose a tense and stick with it. Past-to-present/present-to-past happens easily. Be aware and avoid confusing your readers as it makes reading choppy and unpleasant. Read your text out loud. Especially dialogue! This helps catch mistakes and sentences that don’t flow. And you can ‘hear’ your characters’ voices and tweak where needed. It’s fine to ask family and friends. But find someone who can give you objective and constructive feedback. You will need fresh eyes after months of creating this written world of yours. Accept feedback – even if critical. By now you’re in love with your book, and will need an objective point of view to catch inconsistencies and fix plot mistakes. Don’t just fix input where you want to, really consider all the feedback that you receive. This is a very hard thing to do – but so vital. Read through every paragraph, and ask yourself “do I need this?” Sometimes authors go into over-explanation and over-writing. It’s not needed anymore in modern literature. If you can master the question of “do I need this?” and implement it – you are doing yourself, your editor and your reader a huge favour. You’ve completed all 9 points above. Now, start all over again. Read the novel line-by-line. You will be surprised at how many small mistakes you catch, and how many paragraphs you can polish to flow even better. This is the golden tip of all. This tip can make a manuscript come alive and immerse a reader into a vibrant world. Show Don’t Tell is where you as author cleverly use dialogue and narrative to pull the reader into your characters’ worlds. And this is what will have readers coming back for more, again and again. As indie authors swimming in this endless ocean of ebooks, we all know by now that we need to get smart if we want to actually sell any of our own. Here are some nifty must-haves from authors Becky Wicks and Jeanine Henning. Most traffic to my blog and to my books comes from Twitter, and here’s where most interactions with readers, writers and social media big-wigs takes place, too. TweetAdder ($19 a month with 30 days free trial) lets me make a list of Tweets and then sends them for me at random while I scribble away. I can also search for interesting/likeminded people by keywords in their profiles (ie: ‘book blogger’, ‘reviews books’, etc). I accumulated 800 useful followers in just over a week using this tool and the number is still growing. I’m so glad I discovered these guys. Paying for a Premium Membership ($105 a year) grants me access to a world of coolness, like a handy Amazon Description Generator, and an Amazon Reviewer Grabber, which scans Amazon for readers who’ve enjoyed books similar to mine, and lets me email them to see if they’d like a free copy of mine to review. Amazing! There are lots of other great tools and workshop videos to watch on AMC – it’s been well worth the membership for me. I use a great guy to format my ebooks – he does them very quickly and very well. (Tip: ask for your table of contents at the back of your book. It’s easily searchable by readers on all devices so why waste that precious ‘sample space’ at the front when it’s up on Amazon?) Another ODesker cleans up my mailing lists once I’ve made a mess of them (doh) and does other small admin tasks. I’ve tried employing people from Fiverr.com, who offered cheaper services, but I found they didn’t do a great job. Sigil is a free app you can download from the Internet and this has been an essential tool for me! Once I get my formatted epub back from my ODesk expert, I can use Sigil to open it back up and make any changes myself. For example, I can add a call to action to enter a Rafflecopter competition whenever I have one running, in order to gain more mailing list subscribers. I can then re-upload the file to KDP whenever I like (allow 12 hours for changes to apply). It’s very simple to use and if I get stuck, there are tutorials on YouTube. Two tools I wouldn’t be without; both of them free. I use Rafflecopter to run contests, whereby each entrant is entered (willingly) onto my mailing list. The more competitions I run, the more people I get to add. Amazon vouchers are quite alluring as prizes, as are advanced copies of my books. I use Mailchimp to keep track of my lists – one for bloggers/reviewers and one for readers. I never spam. I discovered this by mistake but now I wouldn’t be without it. Canva lets you create (for free) a host of professional-looking memes and social media posts that you can then send out on Facebook, Instagram and Twitter. I use it to mix images with quotes from my books. Tweets with these memes attached have a much higher click-through rate than others. (Tip: make sure you’re on a speedy WIFI connection, or this site can be a little slow). …is all the reasons to use cover designers, editors, and nifty tools like social media headers, email signatures and the meaning of life (kidding about the last part!) The first few tools that deserve mention are ‘smaller’ tools, but, they add in creating awareness about your books and your brand as an author. The short and sweet usefulness of these affordable marketing additions is the extra attention you generate for views to your site and book locations. It is always best to have a signature designed by a professional, but we all have budgets, and until you can rope in an artist and create a proper signature with all the bells and whistles, you can use companySIG for a quick and easy signature! More and more authors are finally using this silent and constantly visible marketing tool. It’s often the first thing people see when they land on your Facebook page and again the opportunity to garner book and page views increases. For those on strict budgets, try Bannersnack. Alternatively, use a professional who can make sure your brand remains looking good! For me personally Twitter is an invaluable tool! Becky’s already listed the awesome TweetAdder. This platform has connected me with clients and readers, and it keeps us connected. But I make sure I design my Twitter banners to convey the work I do, and that the banner suits my personal brand and visual look. However for those who want to try it alone, Fotor.com offers free online header creation. 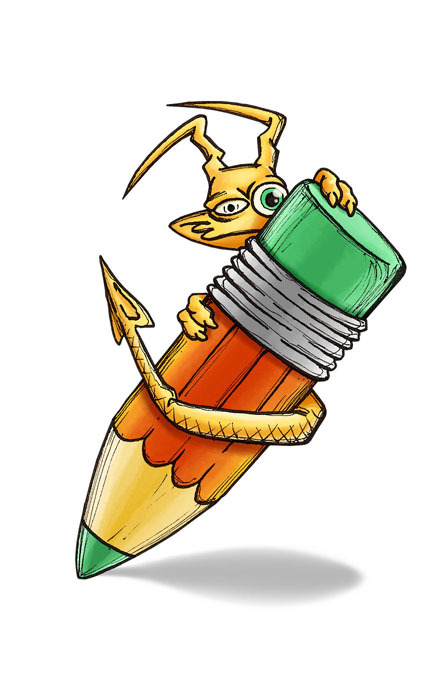 Editors are crucial to a successful manuscript – whether you want to self-publish or submit to agents. However, your manuscript still travels quite a journey to get to that editor. Make life for yourself easier and your book better, and read these 21 proofreading tips for authors. Personally I have written many an article about cover design – and this area of speciality is my stomping grounds (visit my cover design page here). The importance of a professionally designed cover for indie books is becoming more prominent as indies are gaining ground when it comes to taking sales from the bigger publishers. Just as important as having talent, is having time. Time is what you’re going to have to spend the most of when you dip your tentative toes into the pool of indie-publishing. Spend wisely and good luck!